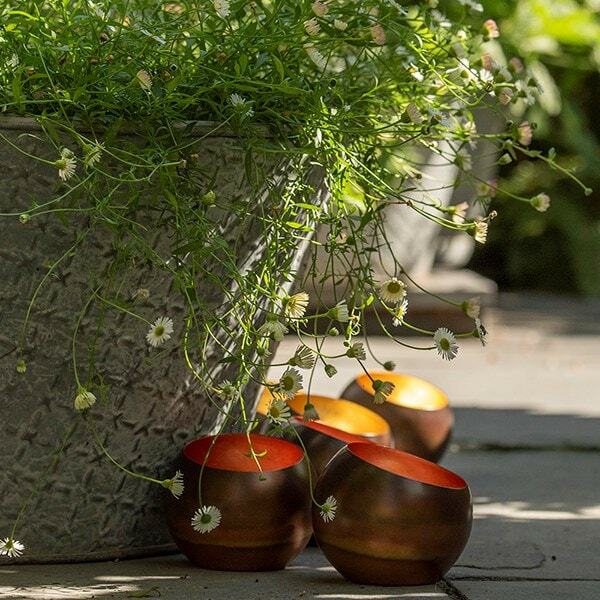 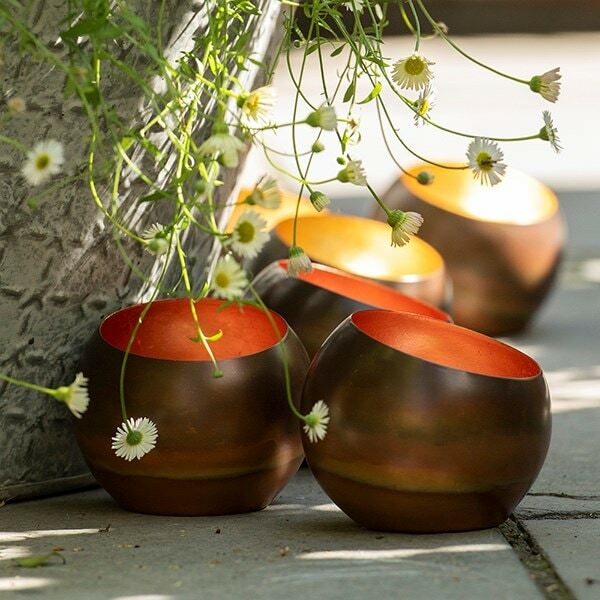 Add ambience to the garden on summer nights or shimmering warmth in the colder months with these contemporary round metal candle holders. 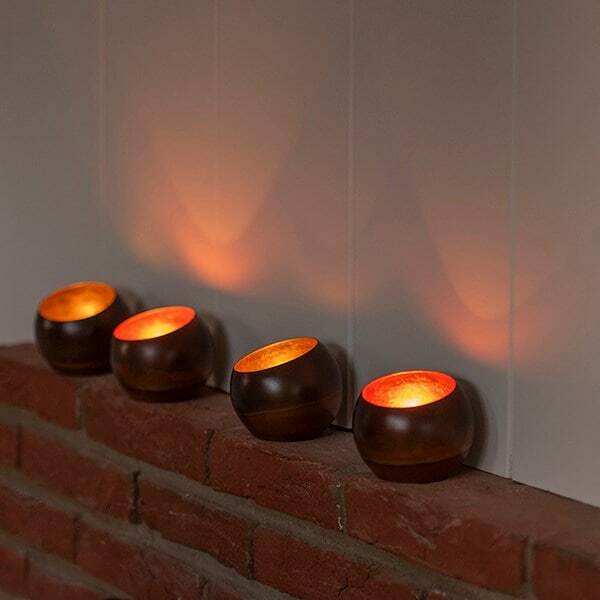 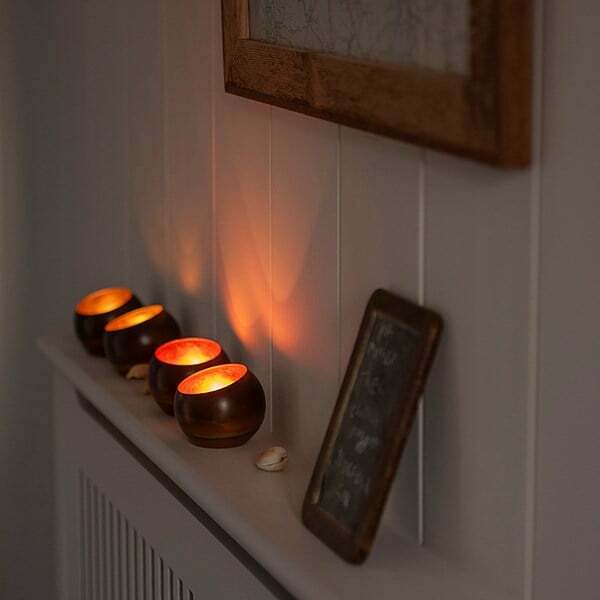 Dot them around the garden, on walls, tables, the patio etc or bring them inside to enjoy cosy candlelit evenings. 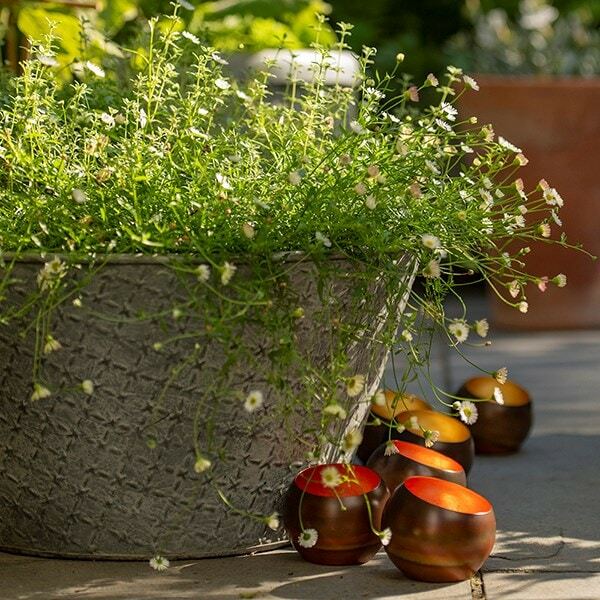 The gleaming metal interiors also make them a wonderful addition to festive displays. 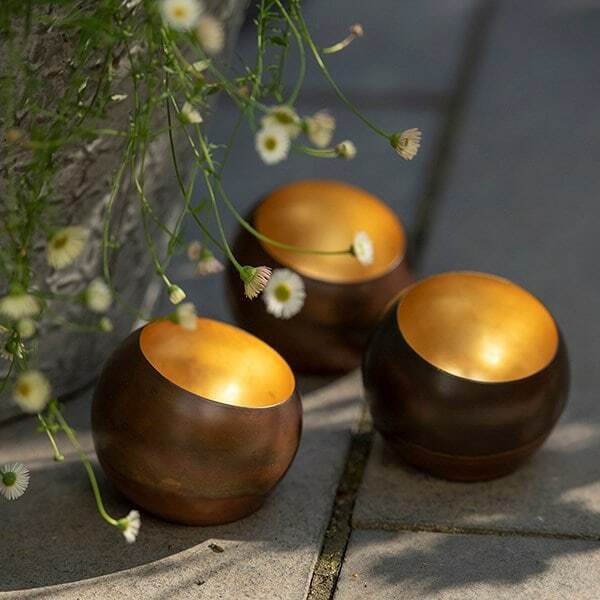 Made from 1mm sheet steel in a choice of antique copper patina with burnished copper leaf interior, or brass patina with brass leaf interior.